A former gallery owner by trade, with a sculpture degree under her belt, Rachel Comey approaches her work with an artist's eye. Her designs are always born from an unexpected point of view: clever with a nod to classic, a statement through and through. 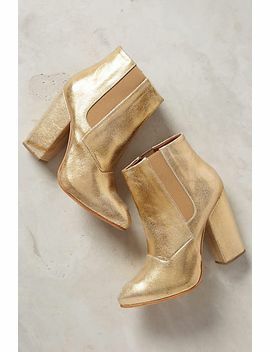 Add a flash of metallic to your evening look with these subtly futuristic booties.